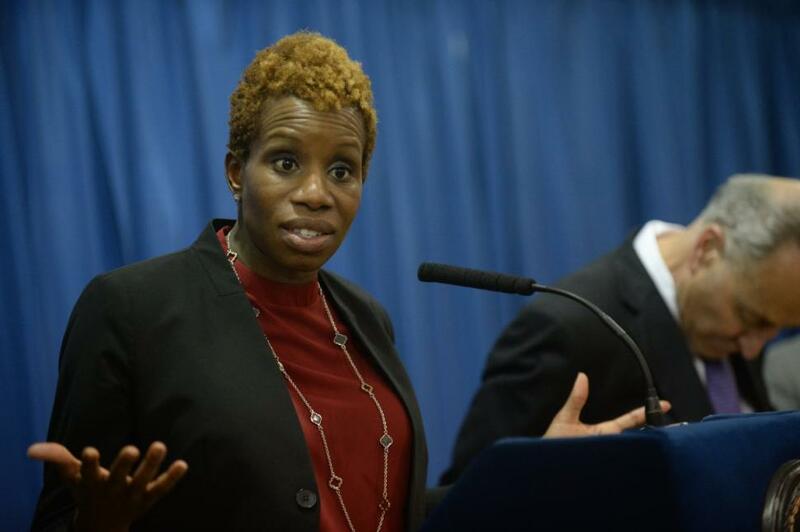 Angry residents and faith leaders joined forces Thursday to call for the resignation of Shola Olatoye, chairwoman of New York City Housing Authority (NYCHA). 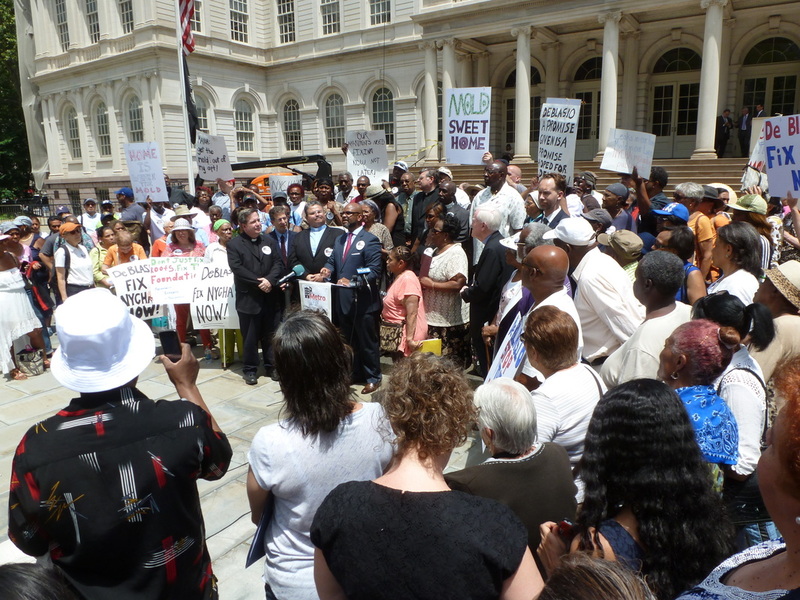 On the steps of City Hall under a bright sun, hundreds of members of Metro Industrial Areas Foundation called for a "shake up" at NYCHA, demanding that Mayor de Blasio keep his promises to New York City’s most vulnerable population. City Limits story here. New York Daily News Story here. "My Father, Ed Chambers" by William Chambers: A eulogy delivered June 7, 2015 at St Gertrude Parish, Chicago, IL. Go here for text. sang, prayed, opened and studied. they fell, he explained and left. what an awful, anguished, possible morning. help us sing your name. 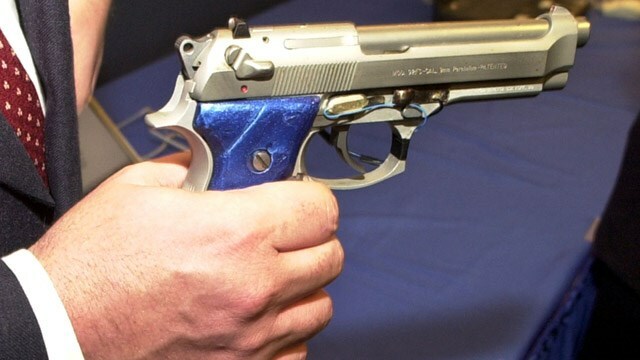 "Inside a Rabbi's plan to get cops to make smart guns kosher." Rabbi Joel Mosbacher seeks breakthrough in fight to curb gun violence. Trace.org story up here. "If the City of St. George is dead, then Better Together is arguably the group that killed it. In the end, the Registrar of Voters found the petition failed by 71 names. During the final three days of the registrar checking the petition, Better Together leader M.E. Cormier turned in 209 withdrawal forms that members of her group collected. They had already turned in almost 1,000 before that. The withdrawals made the difference." Nearly five hundred Durham CAN leaders met with 24 elected leaders representing city, county, schools and state government. 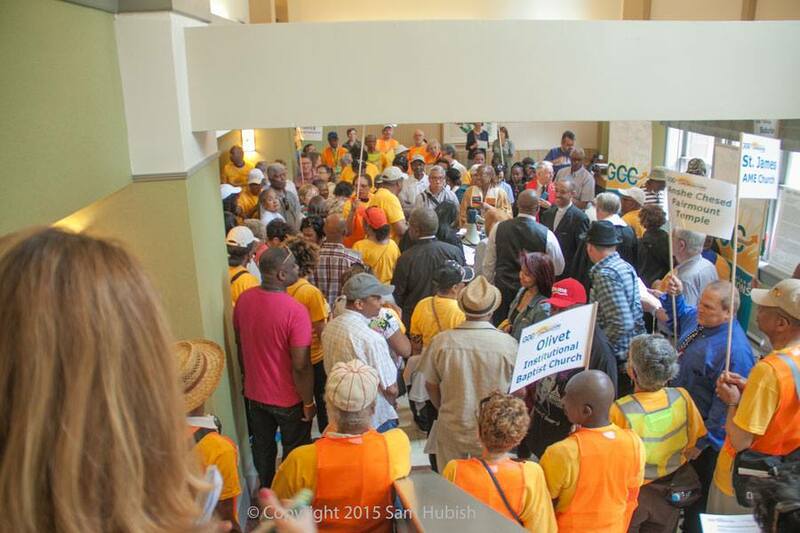 CAN leaders demanded and won support from the Mayor, City Council and County Commissioners for the use of two publicly-owned parcels of land for the construction of affordable housing. 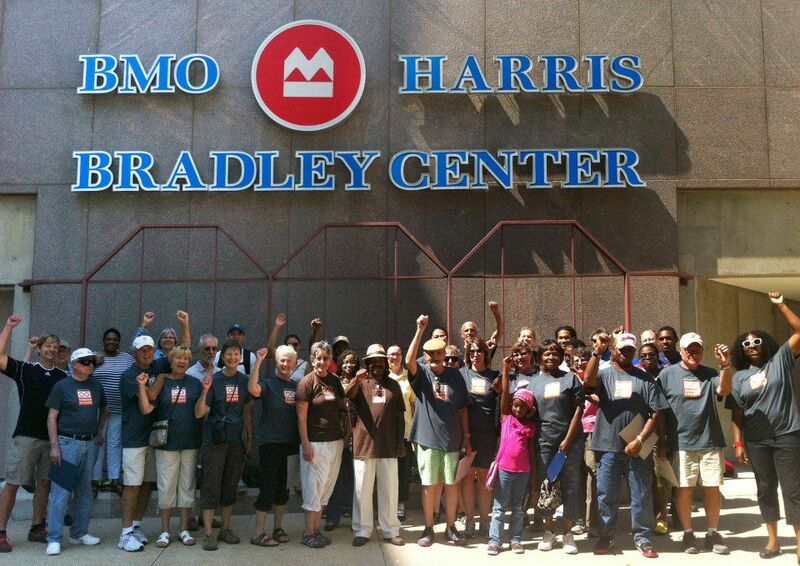 Leaders celebrated victory on living wages for thousands of future transit related jobs. 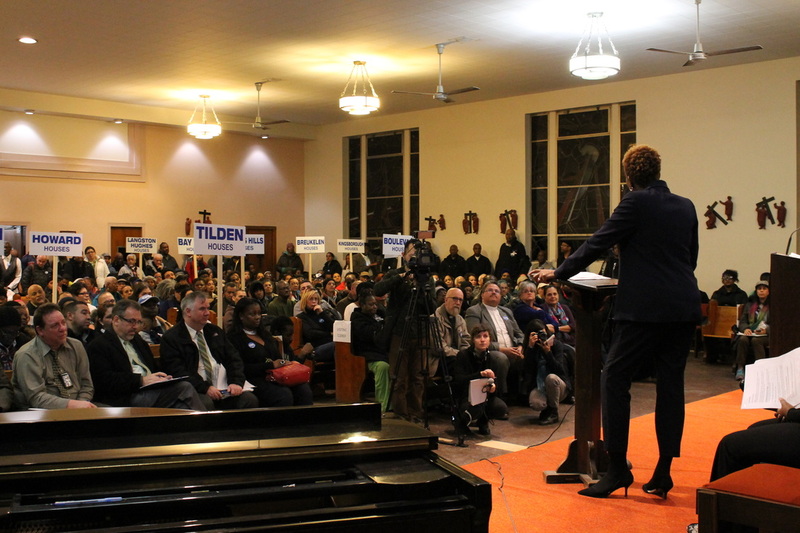 During the action, CAN leaders gained commitments from the Durham Police Chief and the Director of the City of Durham Office of Economic and Workforce Development on the implementation of policies to reduce police profiling and the creation of a job training program for thousands of transit related jobs respectively. After months of pressure, the Common Ground community organization finally succeeded in bringing Nationstar CEO Jay Bray to Milwaukee this week to discuss the mortgage servicer's role in the city's foreclosure crisis. But the group's real target is Nationstar chairman and Milwaukee Bucks co-owner Wes Edens — and the group has pledged to oppose any public funding for a new Bucks arena that they say would take money from blighted neighborhoods and give it to a billionaire who doesn't need or deserve it. Both city officials and Common Ground have been working to bring Bray to Milwaukee for some time, with Common Ground representatives flying to the Nationstar shareholders meeting in Texas in May to pressure him. A moving remembrance of Ed Chambers by his closest colleague in the formulation of Modern IAF. Go here. Why We Can't Wait: Action Evaluation Meeting underscores the public business required for change to happen. No "movement reenactment" here. 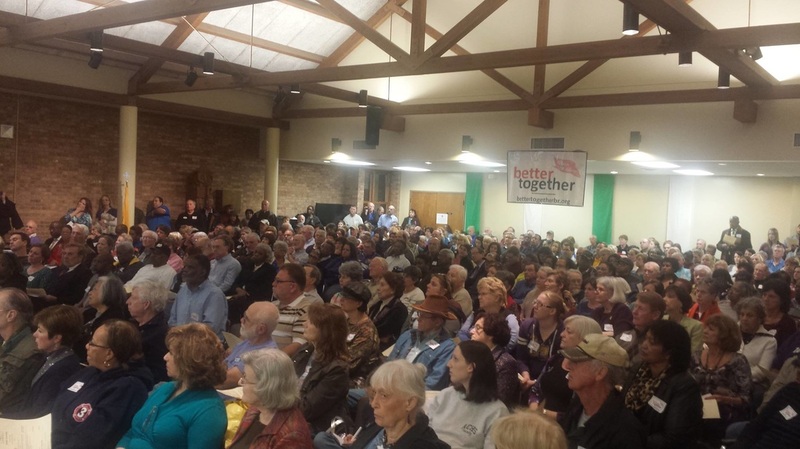 Just patient, relentless organizing aimed at making Cleveland, OH a better place. If you review the linked document your reward will be insight into what is required to make a big, positive difference in the lives of a city's residents. The St. George breakaway petition has failed due to a shortage of signatures. A victory for the entire Baton Rouge community. 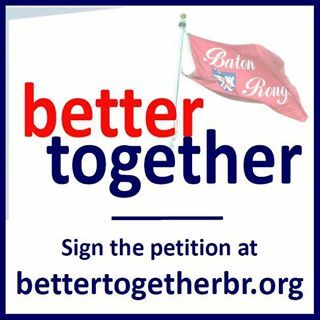 Yes, Baton Rouge is better together. A hard fight for cohesion over division. A story in the Advocate helps interpret the significance of this win for the common good. Residents Against the Breakaway fight for cohesion versus division. Here's the latest as reported by The Advocate. "About 100 members of Common Ground met in the City Hall lobby Wednesday, calling the owners of the Milwaukee Bucks "billionaire bullies" who neither need nor deserve public money to build a new downtown sports arena." Journal Sentinel story here. For a total of three hours, schools Chancellor Carmen Fariña listened and responded in exchanges that brought vividly to life the desperation for better schooling that many parents share — as well as Fariña’s dedication to improving performance. 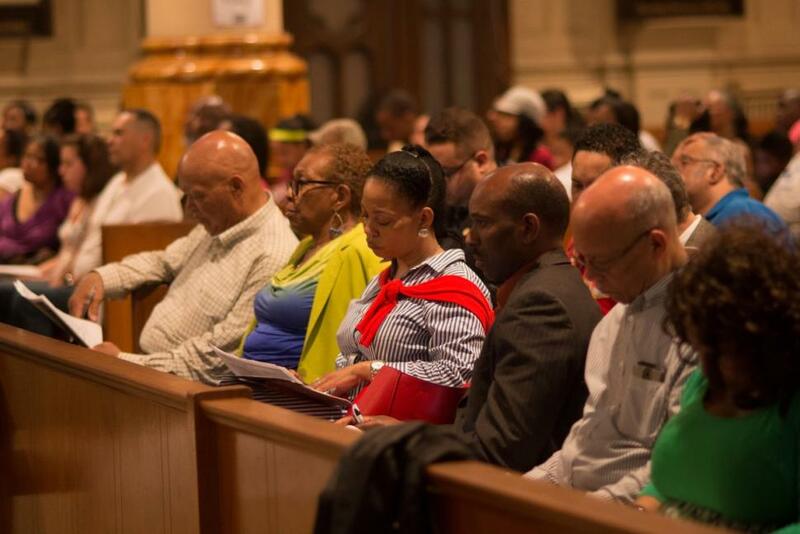 Those were among the stories parents, teachers and others shared at town hall-style forums sponsored by the Daily News and Metro IAF, a coalition of 118 congregations, schools and neighborhood groups. The gatherings were inspired by The News’ sweeping “Fight for Their Future” series published in March. 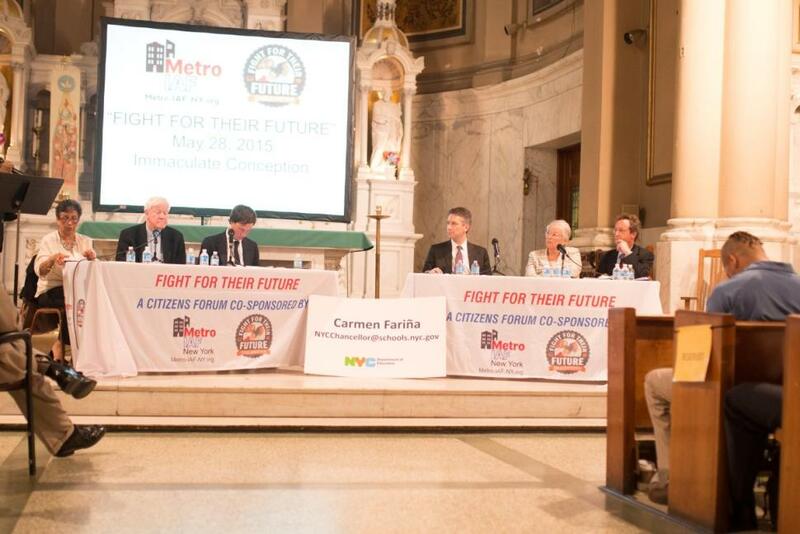 At a forum held by the New York Daily News and the faith-group coalition Metro-IAF, parents and educators presented Fariña with a number of harrowing stories. One parent said her signature had being forged on her child’s Individualized Education Program, the document laying out requirements for special services. Others talked about waiting months for a necessary evaluation or for a student to get access to a special service provider. Go here for NY Daily News story. Go here for second NY Daily News story. Read Chalkbeat story here. Read Daily News editorial here. 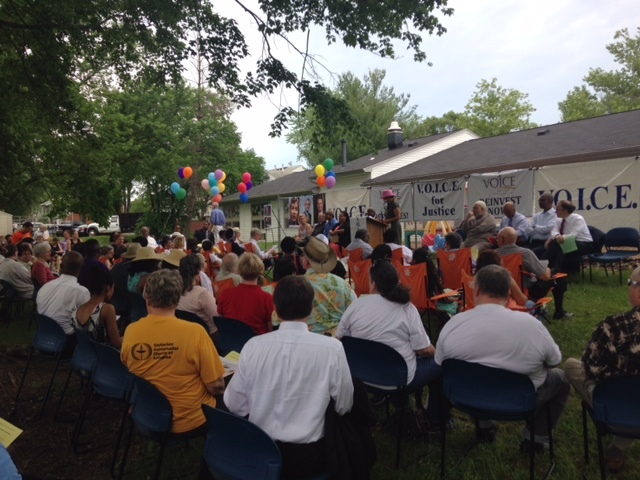 175 leaders, Senator Warner, 3 new institutions, $3.5 million for the VOICE/Metro IAF Restoration Fund, Home Blessing for new homeowner of formerly blighted property VOICE acquired & renovated, great celebratory spirit for defining/formative fight of young organization. 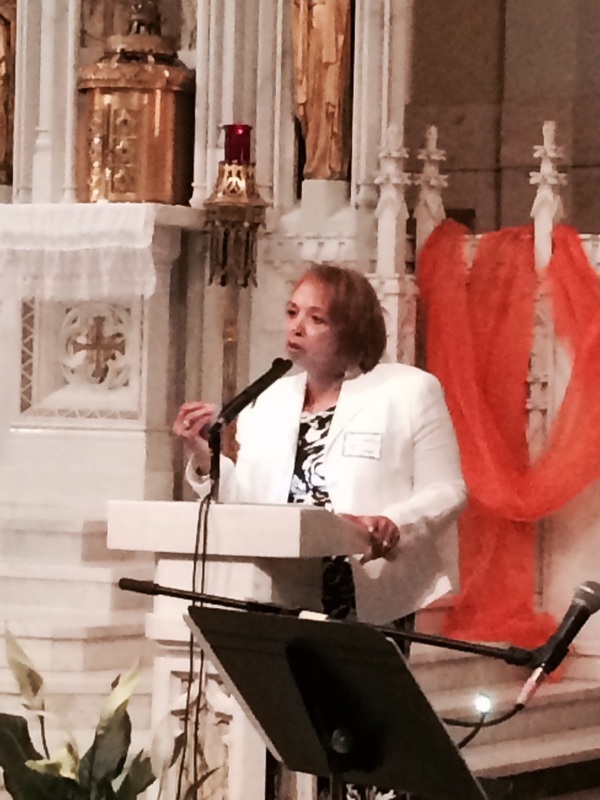 COPS/Metro leaders making a case for living wages and turning out the vote on the westside. Already surpassed is the early voting number at this site from the general election. COPS/Metro, politics you can believe in, impact you can count on. This past weekend's Metro IAF three day training! 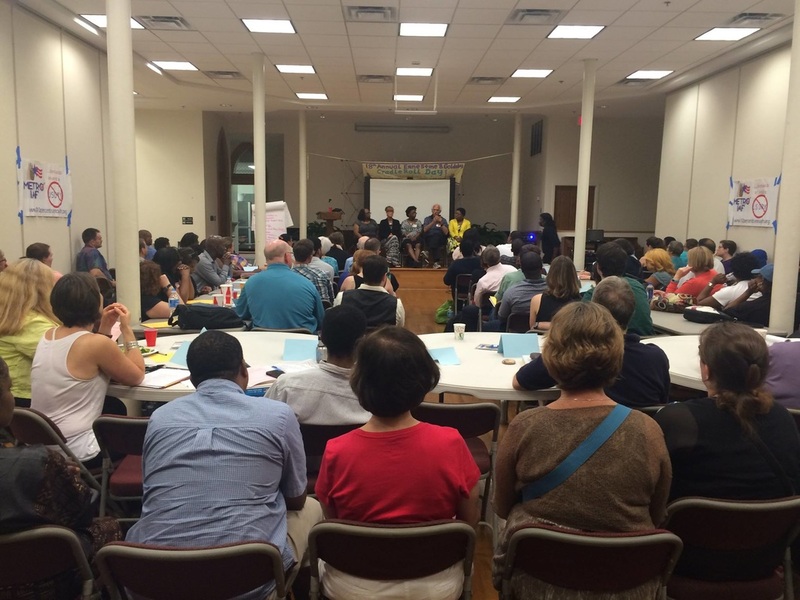 100+ leaders from the Metro area and Baltimore learn together organizing principles and hear stories of action! 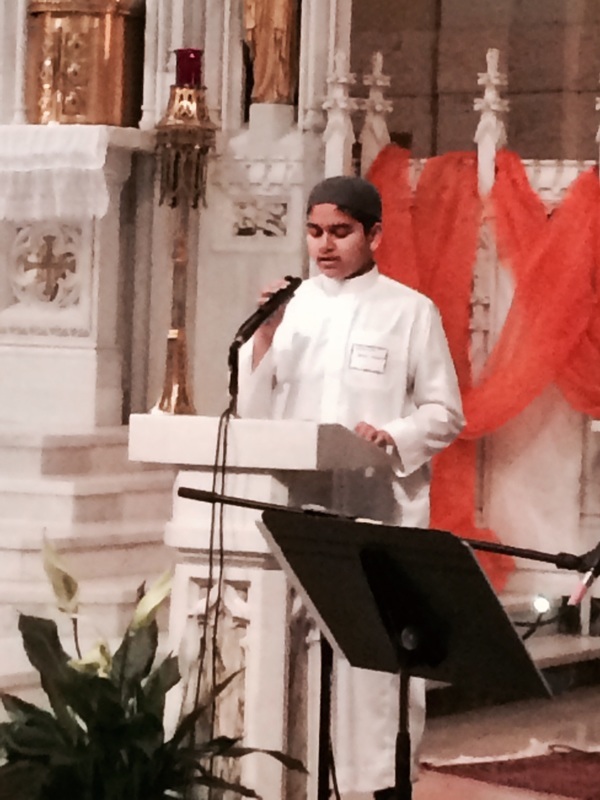 Learning to fight for neighborhood, family and the common good. "A growing number of citizens believe Chelsea and the 40,000 other Spokane employees without paid sick leave shouldn’t be forced to work under these circumstances. 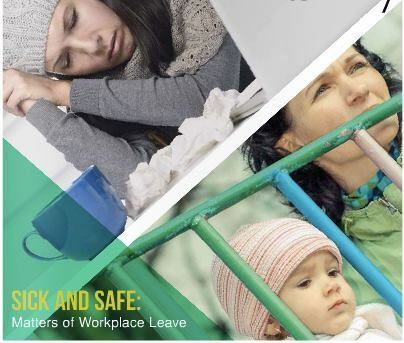 The Spokane Alliance, a nonprofit group of congregations, unions, agencies and community groups, has worked with 50 local businesses and three city council members to craft the “Paid Sick and Safe Leave” policy which members hope can be presented for a vote later this year." The whole story is here. 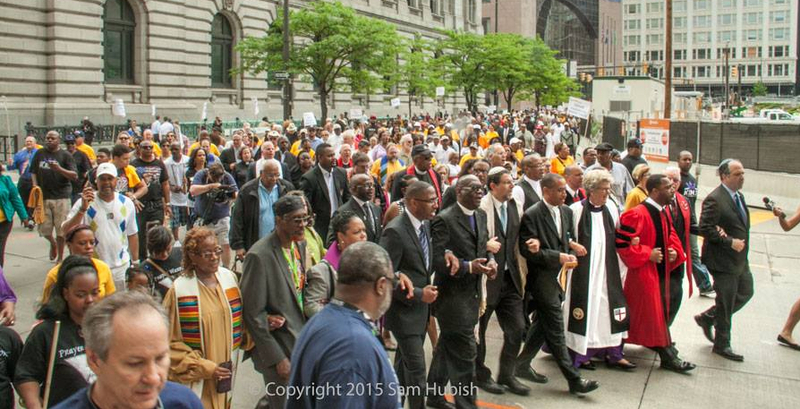 Get up to speed on the changes brewing in Cleveland wrought by Greater Cleveland Congregations. Up here on the Rachel Maddow show. 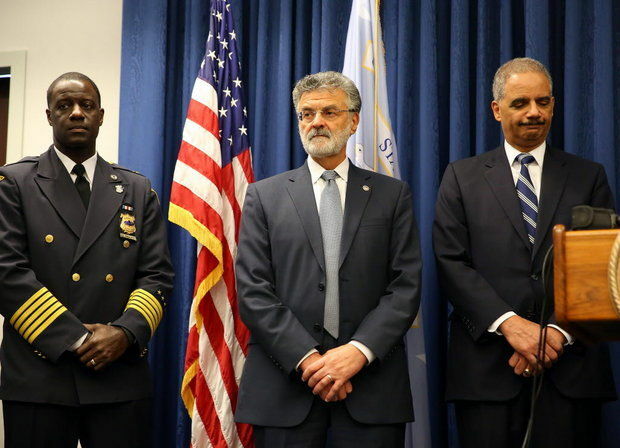 The Cleveland police department has agreed to follow some of the most exacting standards in the nation over how and when its officers can use force, part of a settlement with the Justice Department. Story here in NY Times. 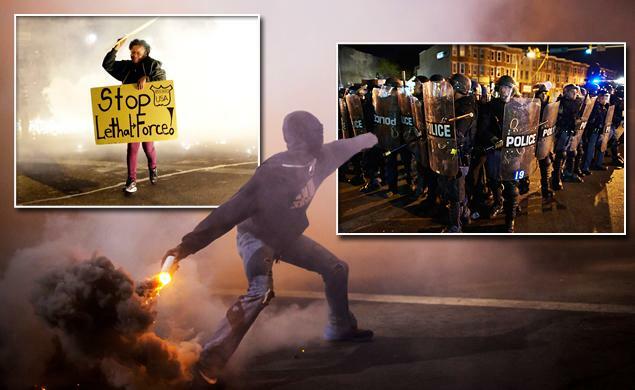 Much more from Cleveland.com here. 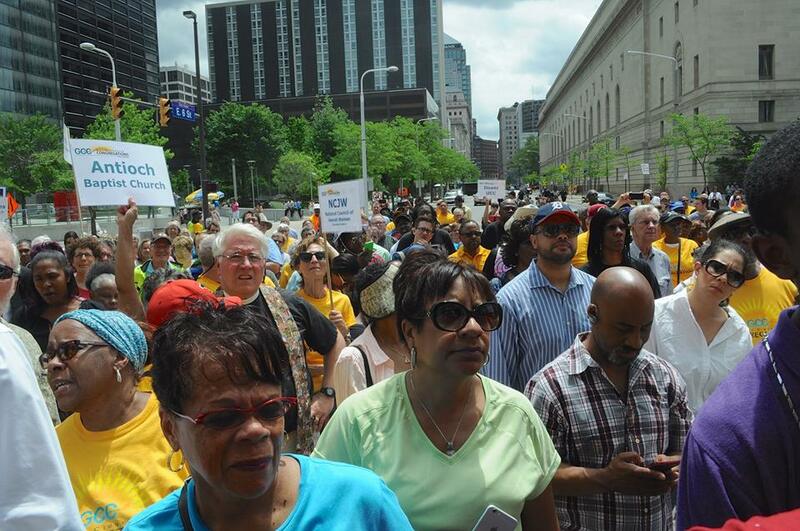 "Cleveland is a felon factory and that has to be shut down so that people have a real opportunity for a meaningful life,” GCC/IAF Organizer Rob English added. English called the community’s current struggle for reform a “kairos moment,” or an appointed time for God to work. “This is God’s time, when everything comes together for one moment and this is that moment in Greater Cleveland,” he said. “We’ve got to make sure this happens. We can’t afford to miss it.” Huffington Post article here. Cleveland.com editorial on focused anger, constructive GCC response. Go here. 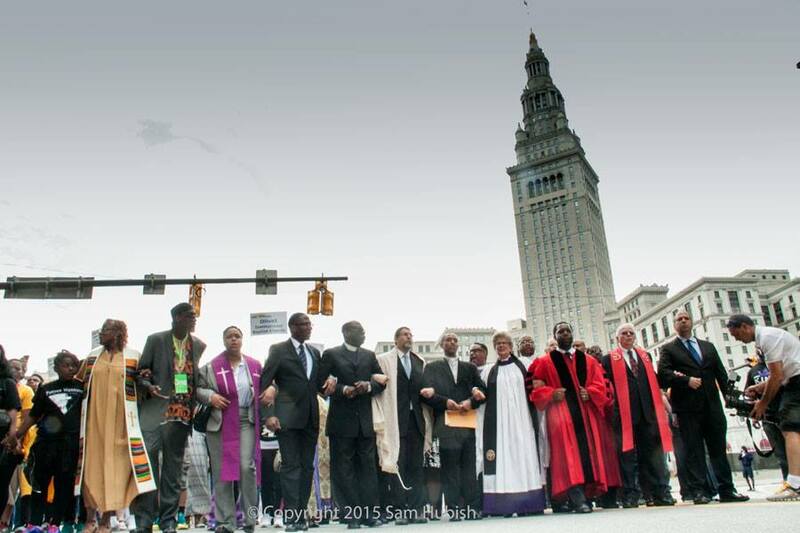 Greater Cleveland Congregations/IAF is right in the middle of the Cleveland community's response to the acquittal of two police officers accused of shooting two unarmed citizens. 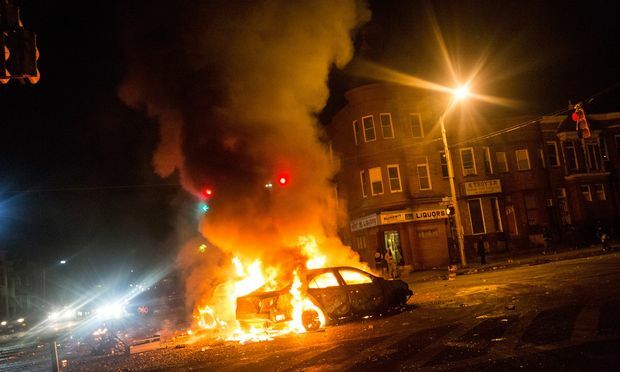 "Despite Saturday’s flare-ups, Cleveland has mostly avoided the violent unrest seen in Ferguson, Mo., where a white police officer fatally shot an unarmed black man last year, and Baltimore, where a black man died after being injured in a police van. 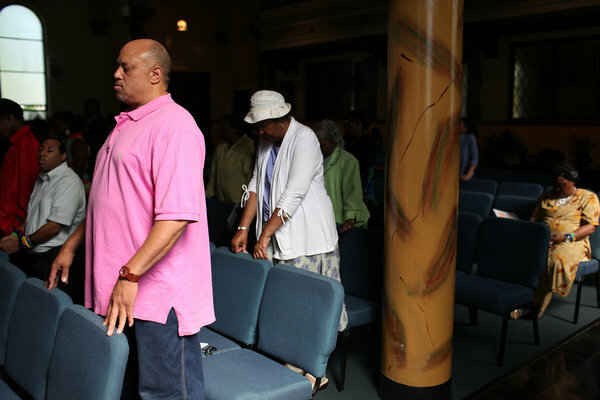 Cleveland officials have worked with clergy members and other community leaders in hopes of staving off violence, and the efforts seem to have worked so far. 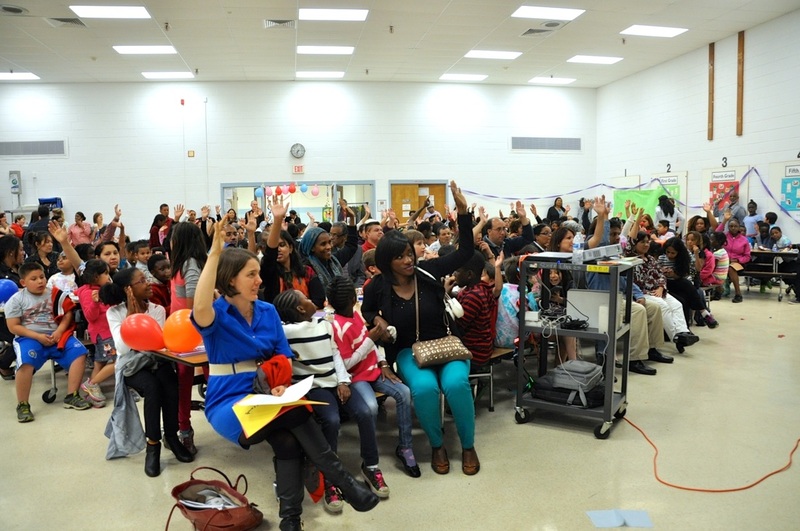 Demonstration pilot of Child First Montgomery at two large, heavily immigrant elementary schools just wrapped up. 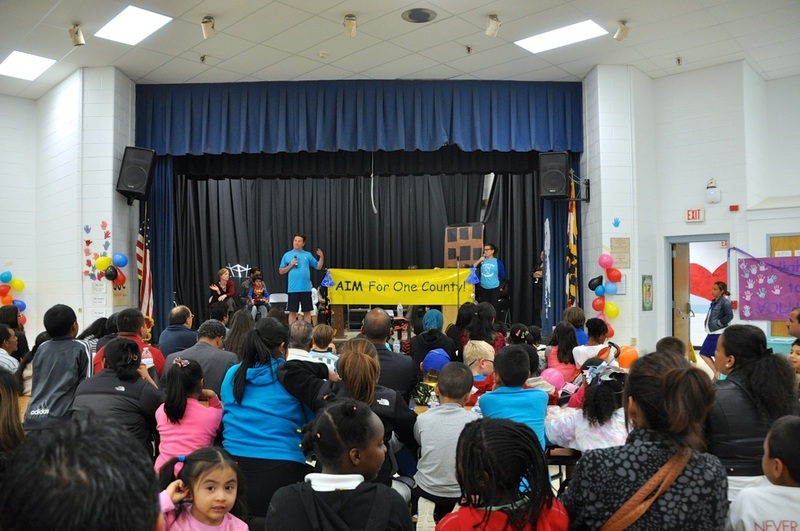 AIM turned out 450 parents, educators, and students to the first schools action/celebration. 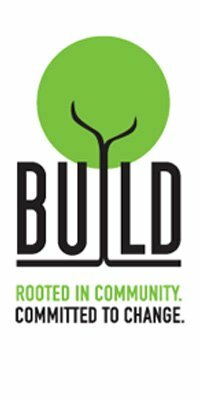 BUILD's Child First - nationally acclaimed, locally owned - grows in suburbia. Good vid here captures what's happening and where it's going. Child First Authority’s mission is to develop youth by strengthening and reforming schools. Child First Authority is committed to closing the opportunity gap for children in Baltimore City by providing high quality after school and in-school programs. 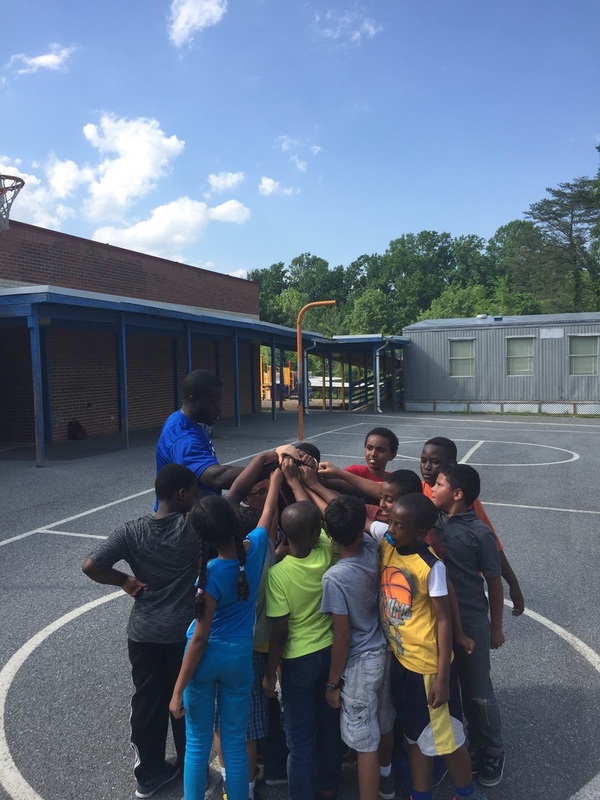 With its focus on school-based community organizing and enriching learning opportunities,Child First Authority supports positive outcomes for over 1500 young Baltimoreans. 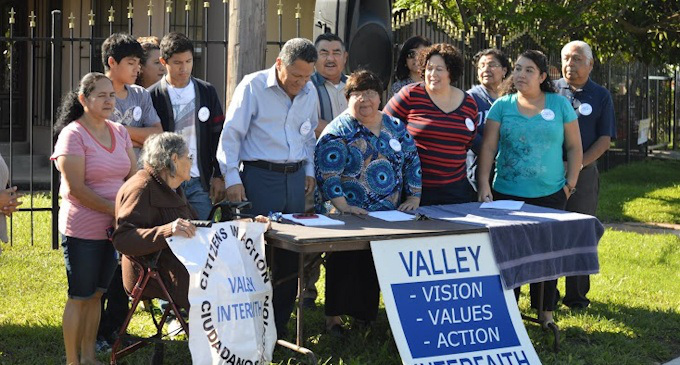 "Valley Interfaith leaders in Las Milpas are thrilled that, as a result of the impact the group had in the recent Pharr city commission elections, their initiatives for the area are about to be implemented. 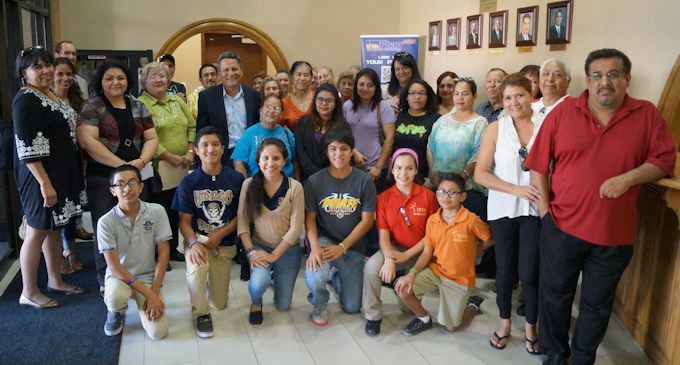 "The community group’s six top initiatives for Las Milpas are on the agenda for next Tuesday’s Pharr City Commission meeting and are expected to be approved. 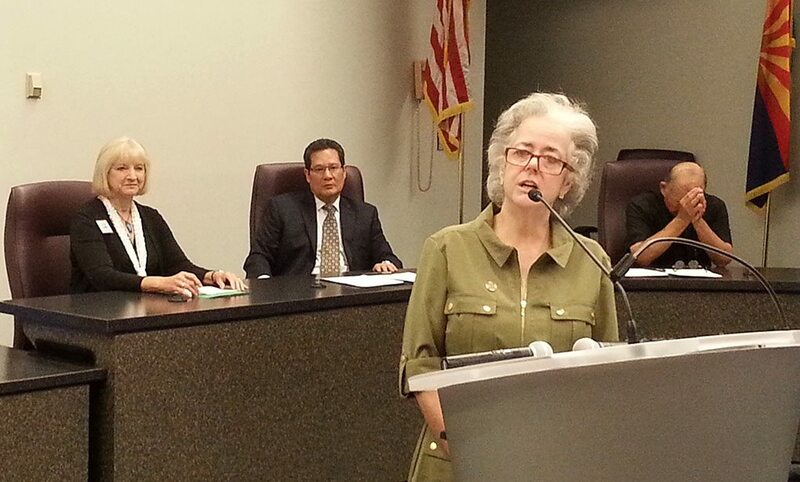 The six items are: a bridge across a canal to link the neighborhood north of West Las Milpas Road to Jones Box Park; more funding for Project VIDA; the building of a library, recreation and resource center, curtailing predatory lending in Pharr; more buses and bus routes for Valley Metro, and paving of more neighborhood streets." Rio Grande Guardian story here. 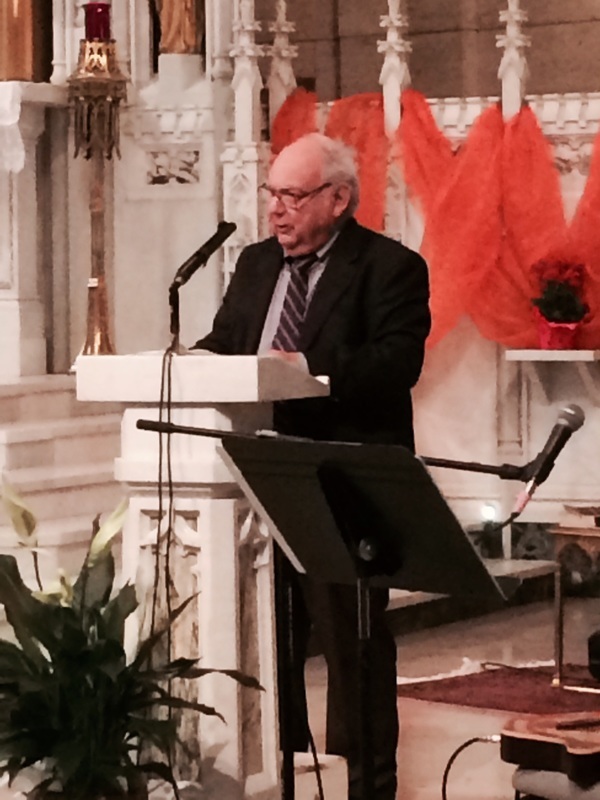 Memorial Service for Ed Chambers, successor to Saul Alinsky, to be held in Chicago on June 7, 2015. 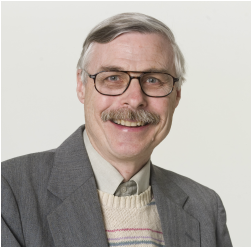 Former Executive Director of the Industrial Areas Foundation to be remembered by friends and colleagues as a key figure in the development of worldwide network of grassroots citizens organizations. 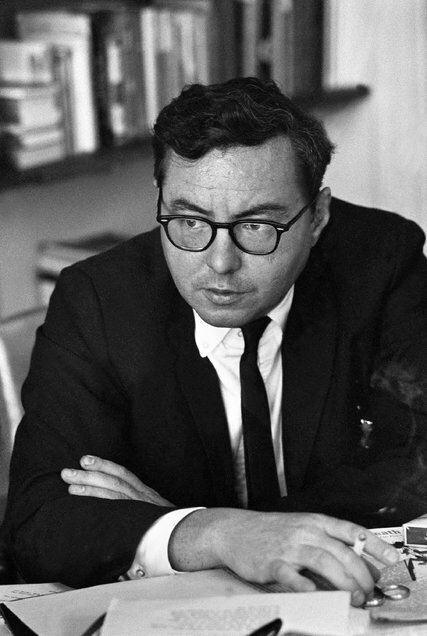 If Alinsky was the Jesus of community organizing, the galvanizing standard-bearer, Chambers was its St. Paul, transforming radical theology into organized religion. He did not invent community organization as we know it in America—that was Alinsky’s achievement—but he made it professional and permanent, a purposeful career rather than a sacrificial calling. A memorial service for Edward T. Chambers, long-time Executive Director of the national Industrial Areas Foundation (IAF), will be held at 4:00 PM on Sunday, June 7, 2015, at St. Gertrude’s Catholic Church, 1420 W. Granville Avenue in Chicago. 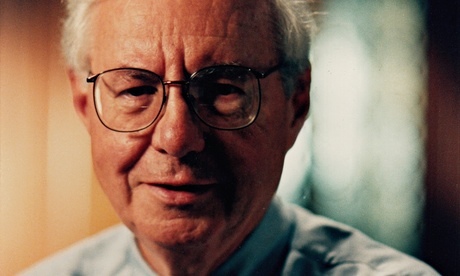 Chambers died peacefully of heart failure on April 26 in Kilcoe, Skibbereen, Ireland. 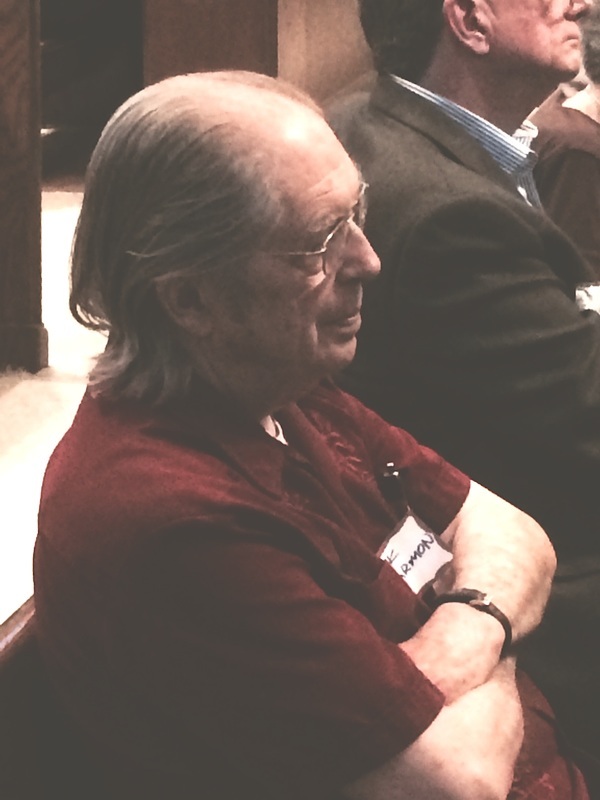 Chambers was named the successor to IAF founder Saul Alinsky in 1972 and led the IAF to become the premier community organizing network in the U.S. and around the world. 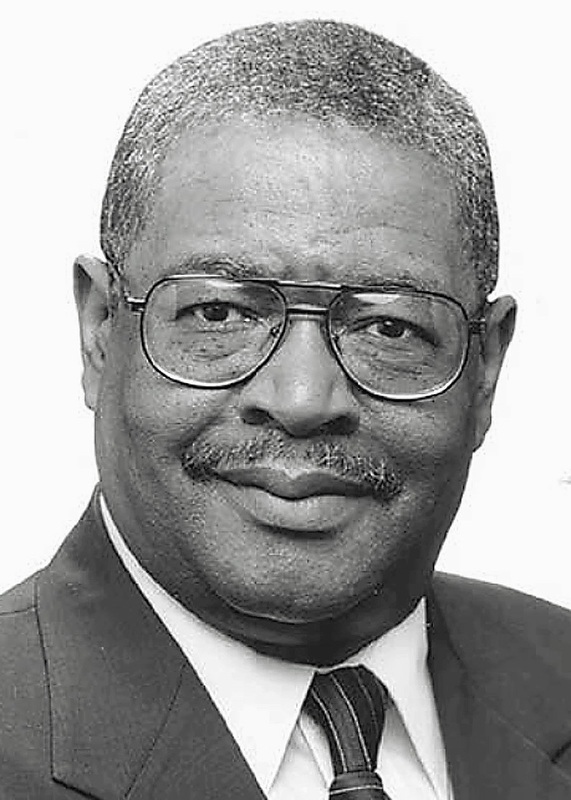 Chambers was the lead organizer in many of the IAF organizing efforts in the 1950s and 1960s, including The Woodlawn Organization in Chicago and FIGHT in Rochester, New York. 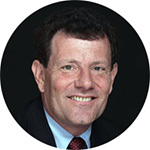 He then mentored an entire generation of organizers and community leaders in what he called "the skills of public life." He wrote a book on his methods titled Roots for Radicals. Chambers retired on January 1, 2010, after the onset of Alzheimer's, and moved to Ireland, where his family maintains a residence. He was born in Clarion, Iowa, on April 2, 1930, and is survived by his wife, the artist Ann Martin Chambers, and their five children Eve, Mae, Joe, Lily, and William. Organizers are agitators, catalysts, and public life coaches. They stand for the whole. They make things happen. They are rooted in the holy books, democracy’s founding documents, and the lives of public heroines and heroes. They are radicals in the best sense of the word. The “Why?” question is important to professional organizers, who need a nagging curiosity about how it is that people, events, and politics are this way or that way. They are generally feared and misunderstood for standing against the status quo. 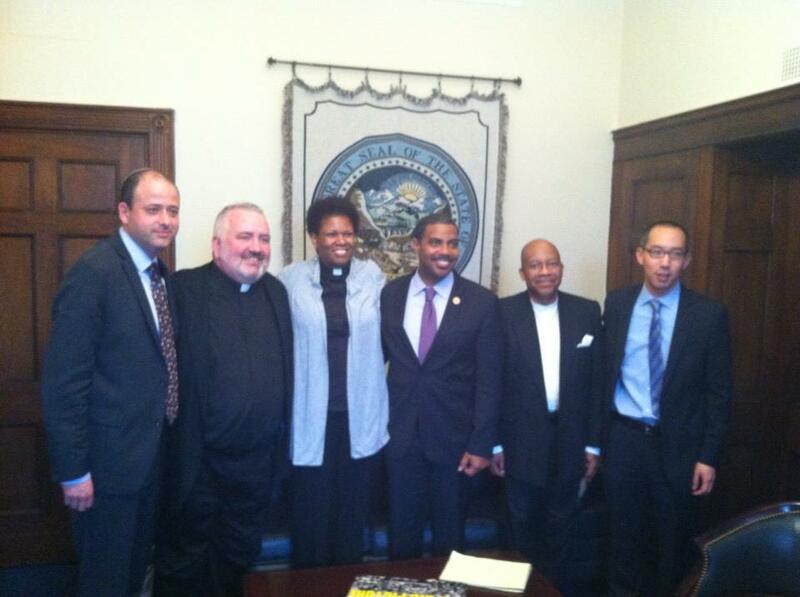 They are public people who seek collective power to act for justice. Being an organizer is not about being liked, but rather…about being respected. Organizers march to a different drummer. 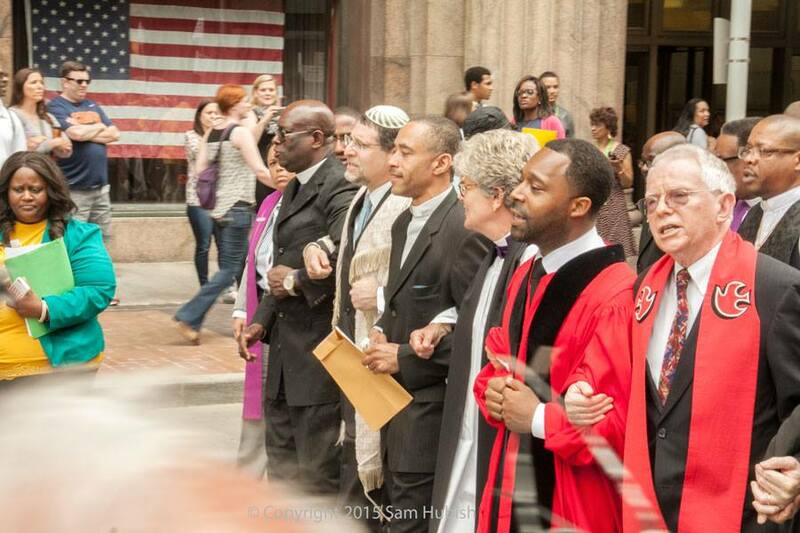 Ed Chambers exhibited those qualities his entire life, and that is what will be celebrated at his interfaith memorial service on June 7, as well as a second service on the West Coast, whose date is not yet set. For further information, call Mr. Chambers’ friend and publisher, Greg Pierce, at 773-271-1030 or email him at gpierce@actapublications.com. 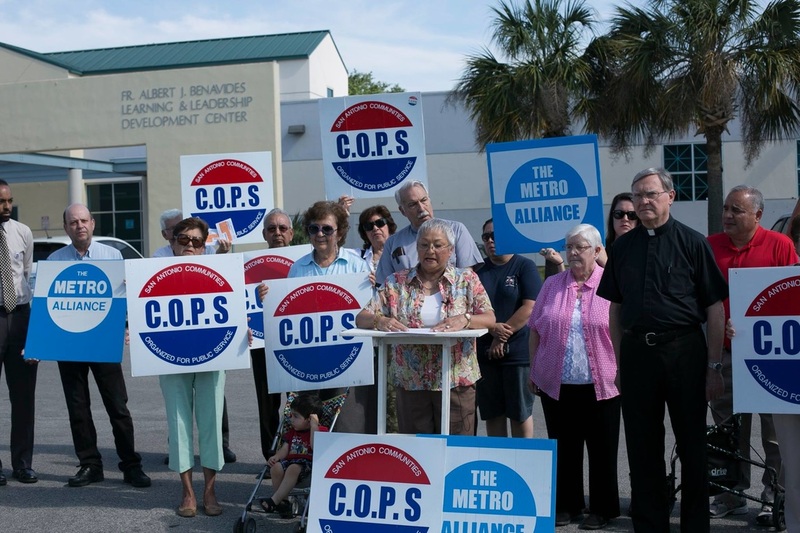 More than 60 interfaith allies, including leaders from COPS/Metro, held a press conference on Friday, May 8 at the San Antonio ICE field office demanding an end to detention of refugee children and mothers in private prisons at Dilley and Karnes City, Texas. 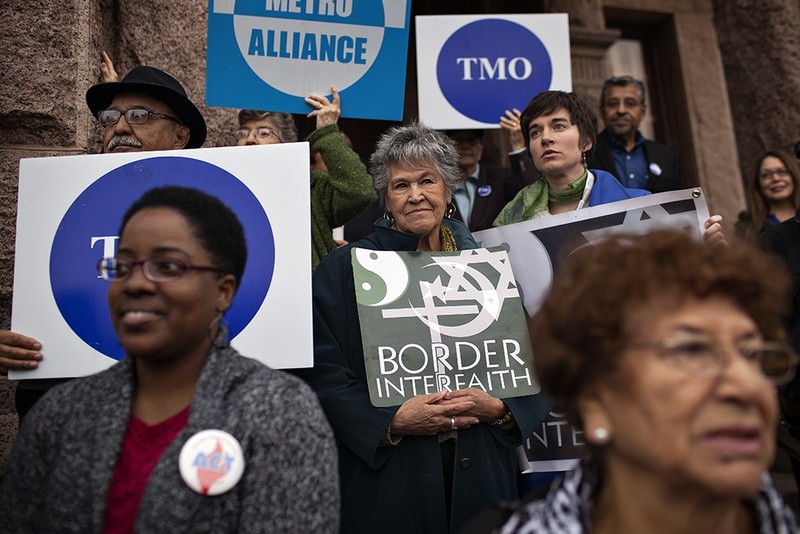 Allies: the Unitarian Universalist Service Committee (UUSC), the Interfaith Welcome Coalition, the Texas Unitarian Universalist Justice Ministry (TXUUJM), and RAICES. 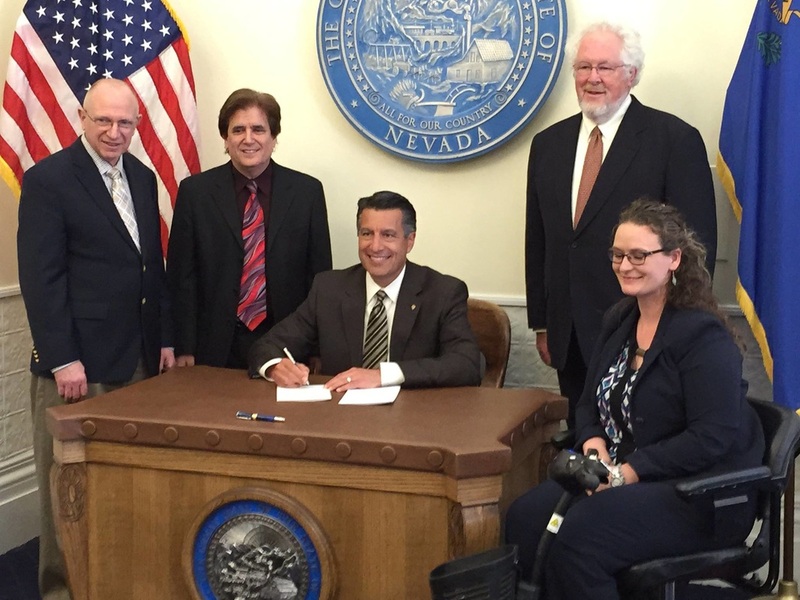 The CARE Act was signed into law this week by Governor Sandoval! Rev. Art Gafke represented NCG at the signing. The law recognizes the important role that family caregivers play in caring for their loved ones and will improve communication between families and hospitals. Thank you to AARP and our other allies. This is a great step forward for family caregivers and seniors in Nevada! 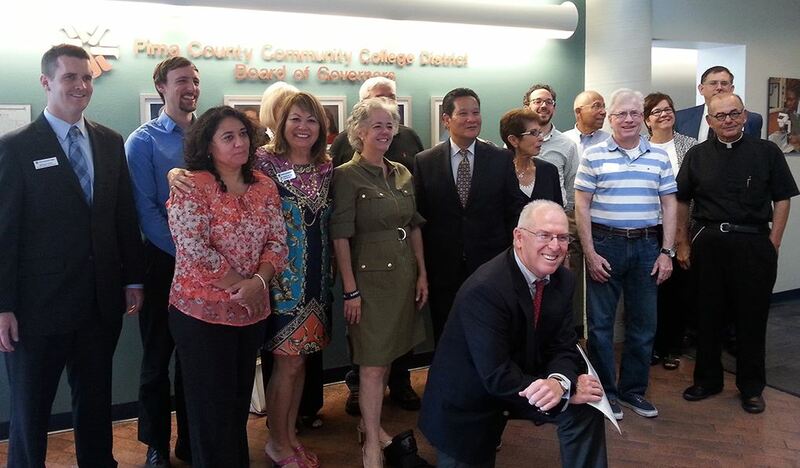 Pima Community College Chancellor Lee Lambert and five key Pima County Interfaith Civic Education Organization leaders signed the first ever Memorandum of Understanding between the college and the interfaith group. The purpose of the Memorandum is to promote collaboration around civic engagement, student leadership training, grant and resource development projects, and other mutually beneficial activities. The Memorandum will be in effect for 5 years. More here. "For once, you can’t fault the emphasis on stage management, because this exceptional event places politicians a few feet away from people at the very sharpest end of their policies, who deliver testimony as raw as it is powerful. Community organising groups across the UK have spent 18 months working out four commitments they seek from party leaders – this time on ending indefinite detention of asylum seekers, paying the living wage, improving social care, and using 1% of banking fines to start a credit union foundation." Full story from the Guardian here. His situation remained bleak until he came across BUILD (Baltimoreans United in Leadership Development), a group that helps people improve their housing, economic and schools environment. He started attending “Turnaround Tuesdays” meetings where Build taught him the skills and confidence to get a job. From the obit by Sam Roberts, May 1, 2015: By the time he retired in 2009, the foundation had taught community groups to pursue their goals methodically and infused organizers with the professional skills he lacked when he began. He wrote a book, “Roots for Radicals: Organizing for Power, Action, and Justice.” Read full text here. 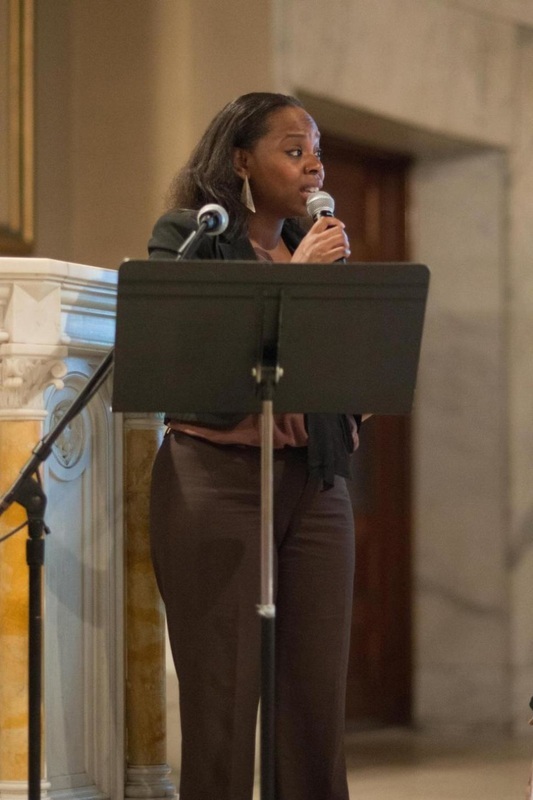 From the Yakima Herald: "She’ll continue those efforts when she sits down with Baltimoreans United in Leadership Development, better known as BUILD, on Friday. Its co-chair, the Rev. Andrew Foster Connors, said he’s been hearing “a deep distrust of all of the city’s leadership, whether it’s listening to the deep, deep pain that is out there." Foster Connors said Gray’s arrest and death “brings to the surface” systemic problems that the city needs to address, such as the lack of adequate employment and opportunities for young people. 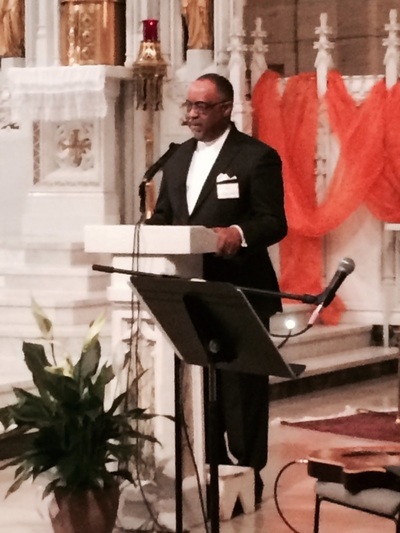 “We need a new level of urgency in the city,” he said. “It’s going to take a different kind of engagement and listening from the city’s leadership.” Full story here. 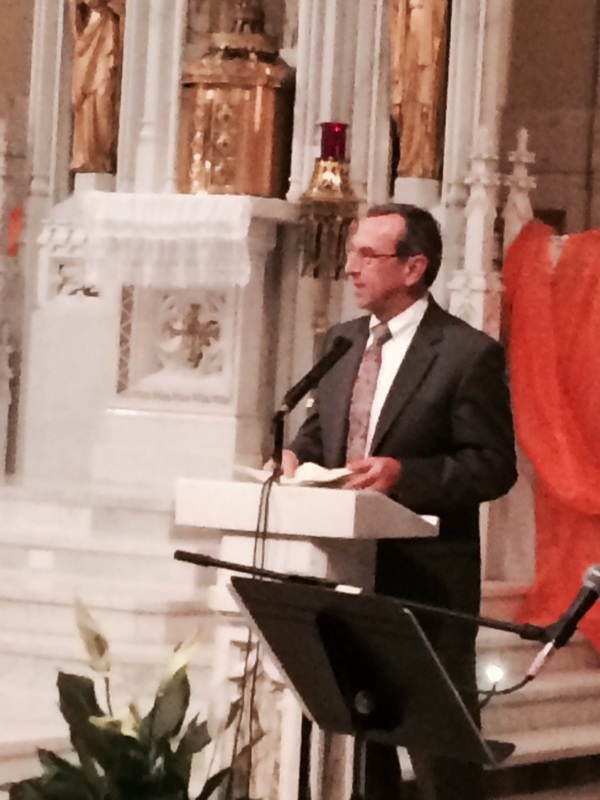 Rev John Willard, Memorial Episcopal Church - BUILD. On the boundary. Trusted. PBS News Hour here. "There's been a lot of talking in our city, a lot of press conferences, but the citizens from Sandtown here today do not feel like they've been listened to," said the Rev. 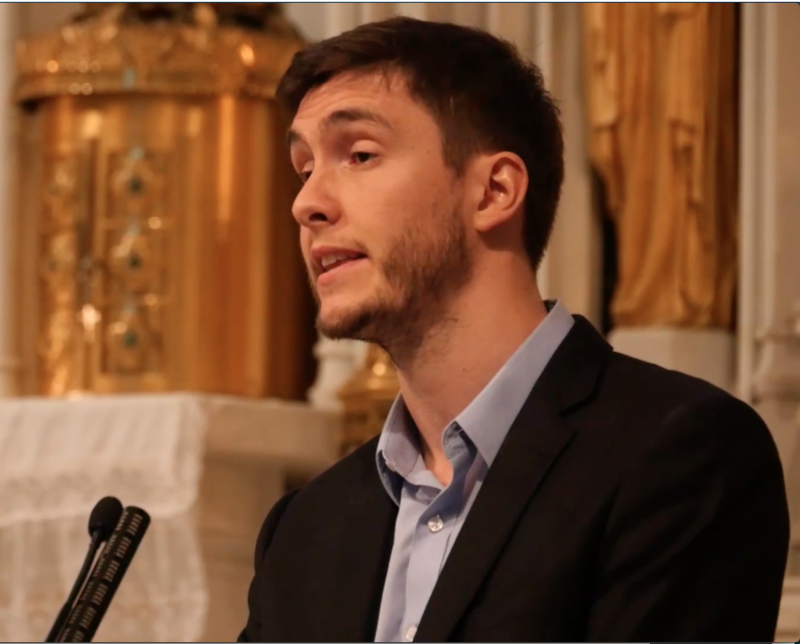 Andrew Foster Connors, co-chairman of BUILD. 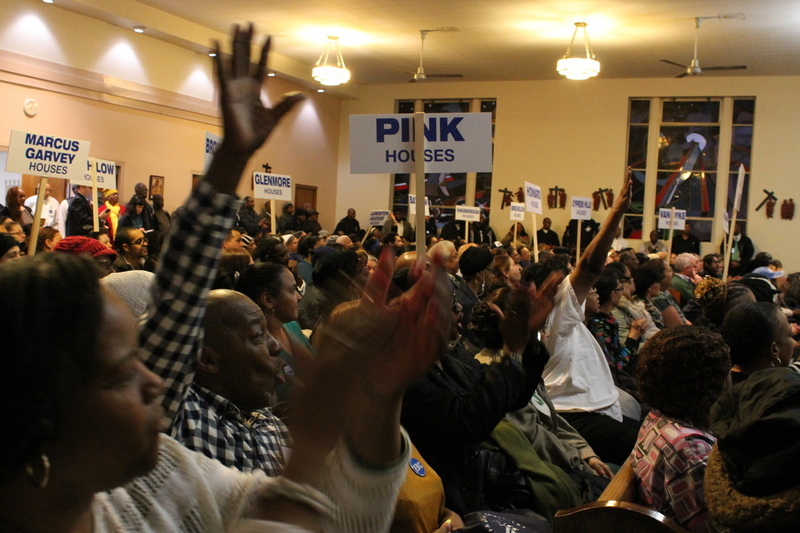 "We'd like to invite you, Mr. Council President, to come into Sandtown to sit down with residents around tables, to hear their pain, what they're experiencing at the moment, and we'd like to ask if you'll commit to doing that." BREAKING BALTIMORE SUN STORY HERE. "What is needed is not more small programs, job training programs that lead nowhere, press conferences or empty promises. What is needed are well paying jobs. Over the past year, BUILD has been working with Johns Hopkins University and Hospital and Humanim, a nonprofit that helps find jobs, along with a number of pastors to build trust and bring people out of isolation and into relationship with each other and with job providers." Rev Andrew Foster-Connors and Melissa Kelley in the NY Daily News. Full story here. Bishop Douglas Miles offers a probing reflection on events in Baltimore. Go here for recording. Building from the ground up. 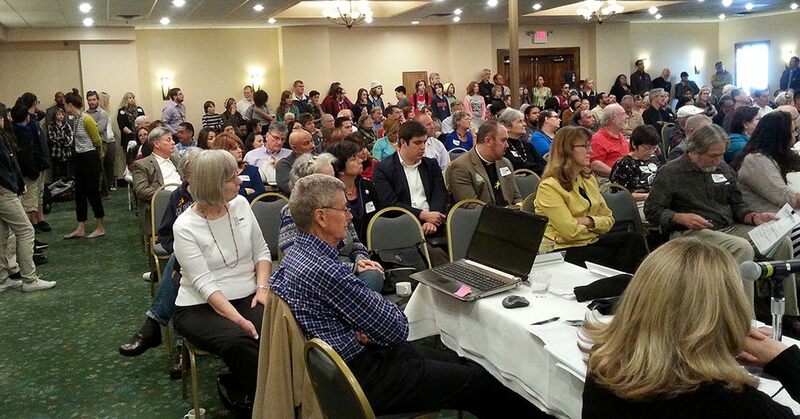 Citizen leaders break through to fix roads, seek additional community investments. Organizing pays dividends with local impacts. “I moved here five years ago and people told me the roads had not been repaired for ten or 15 years before that,” said community activist Monse Martinez. “The potholes were destroying our vehicles. But, we started to get organized. We started talking about it church, holding house meetings and demanding these roads got fixed. It worked. Now, everybody is happy.” Read the full Rio Grande Guardian story here. For story on voter accountability go here. With West Chester United/IAF Tenants Fight Back! 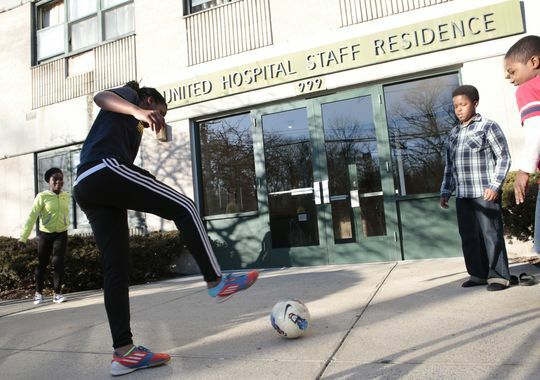 "Starwood's offer of 14 months rent to each of the families to help with their relocation was rejected by tenants, said Adam Barbanel-Fried, a community organizer with Westchester United. So was the tenants' offer to bring in an affordable housing company to renovate the building. 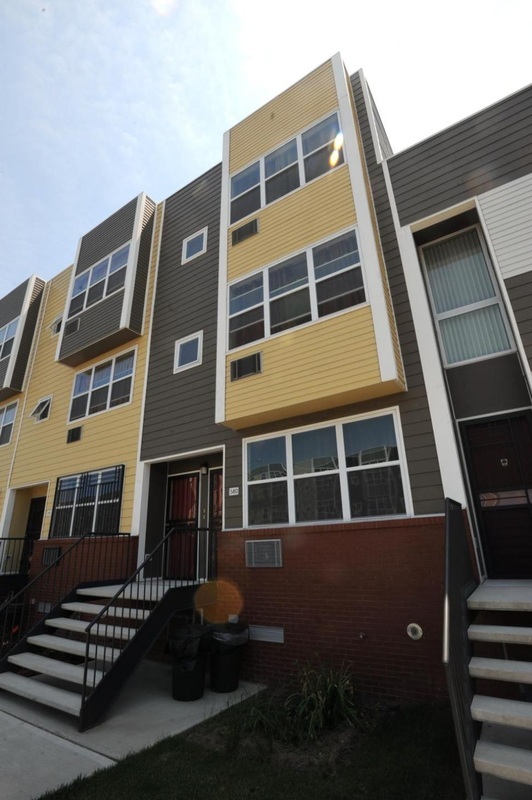 A glance at current apartment listings on Craigslist found that rents for one-bedroom apartments in Port Chester range from $1,525 to $2,300 a month." Full story HERE -- News video HERE. Liberal, conservative or moderate mayor? 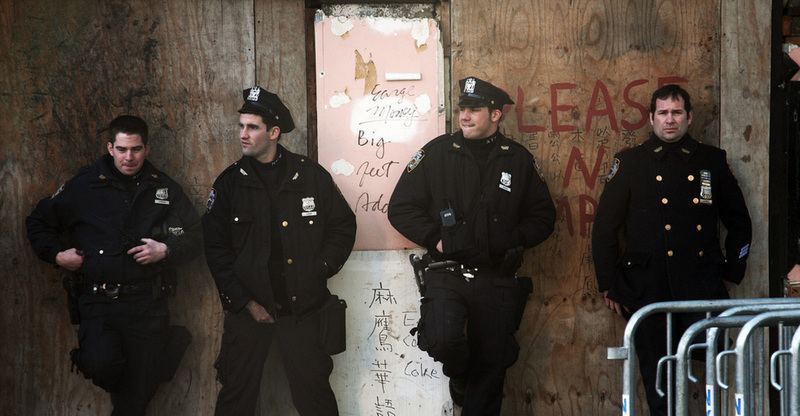 If you live in one of New York City's public housing apartments you got mold, you got leaks, you got a peck of trouble. The whole sorry mess that features residents' pain and mayoral paralysis is detailed in this Pro Publica story by Marian Wang. "... dirty, black water has periodically poured in from the walls, from the pipes, from the radiator. It’s so much water, it looks like it’s raining in here. I am scared,” Santana said. She has placed buckets throughout her apartment. Her couch is covered in plastic to keep it from getting wet." EBC/Metro IAF spearheads the long, hard fight for the health and safety of NYCHA residents. From the Spokesman-Review: "Paid sick leave shot to the front of the Spokane City Council’s agenda this year, as council members vowed Tuesday to quickly pass a policy to provide workers the opportunity to earn hours reserved for unplanned emergencies or unforeseen health issues. 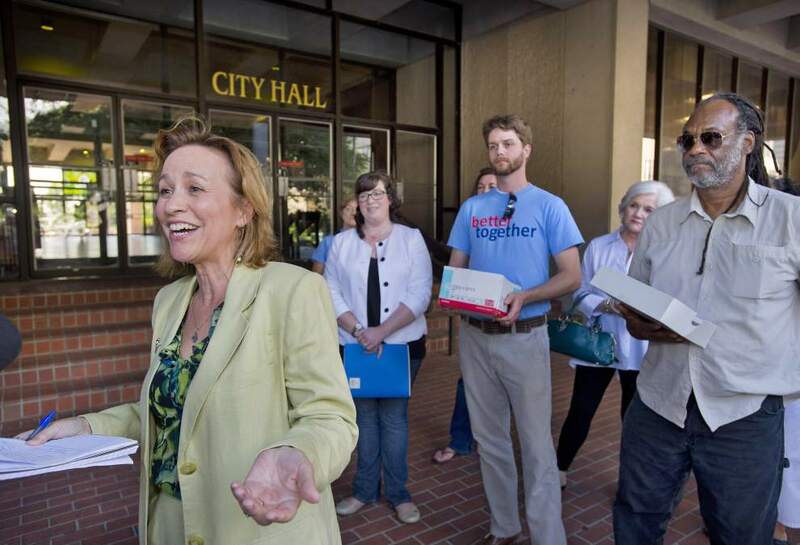 The Spokane Alliance – a progressive coalition of religious organizations, labor and health groups – organized the event and handed over a year’s worth of research on the topic, as well as proposed wording for an ordinance, to the council." This story is important for several reasons: the creative alliance being built; the worker focused policy content; the power/political point of entry; the bottom up research grounding; the excellent media attention. Much more HERE. United Power, Common Ground: Politicians, Listen Up! Four big ideas to make Chicago a better place to live. A challenging op ed by Rev Alan V. Ragland, Rev Otis Moss, III and Gregory Pierce in advance of the upcoming mayoral runoff. United Power, like all IAF organizations, is partisan to an agenda of community improvement not a politician or political party. Read the full text from the Chicago Tribune HERE. Common Ground members summoned the power of prayer Wednesday as they urged Mayor Tom Barrett and Common Council President Michael Murphy to negotiate an agreement with Nationstar, a mortgage-servicing company the organization says is responsible for several hundred vacant and blighted properties. Full story in the Journal Sentinel HERE. Cynthia Gary, a Metro employee for 29 years, choked on the words as she testified at a public hearing on safety organized by her union in the basement of a historic church in downtown D.C. Specific, immediate, concrete improvements in neighborhoods where families live requires power and persistence. 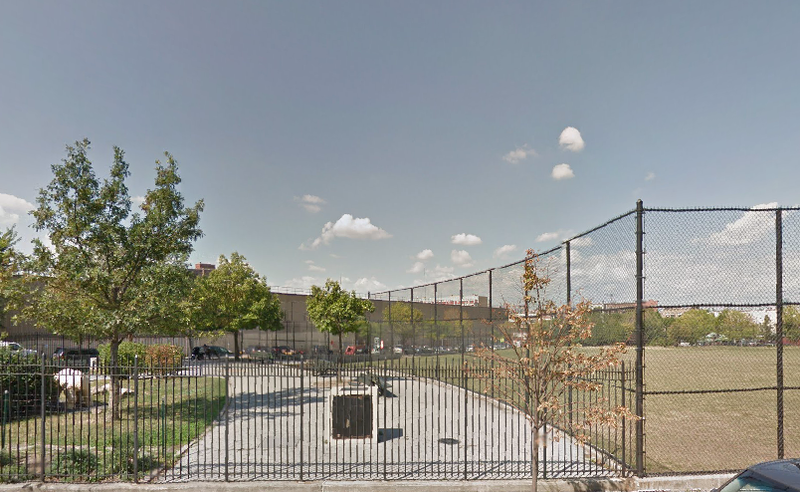 EBC actions in Bushwick, Brooklyn, NYC is a classic example of what it takes to deliver. Here EBC fights tooth and nail for every inch of progress regardless of the political complexion of the current mayor. 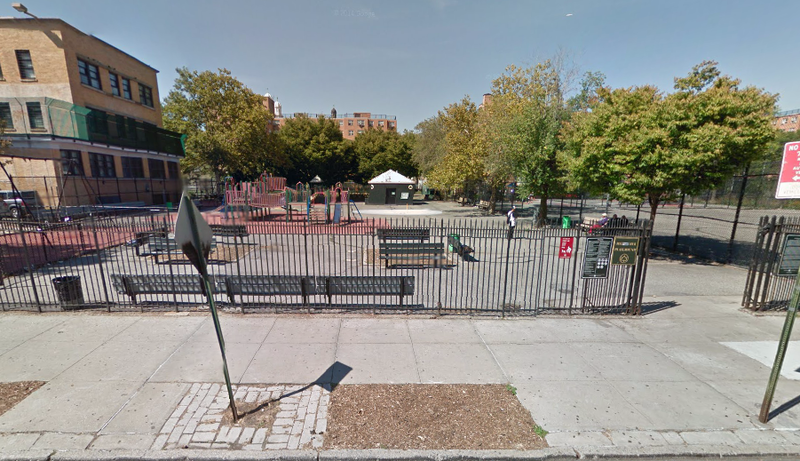 As noted in the Bushwick Daily, 700 members of the Bushwick community rallied to make major park improvements, already committed and budgeted, a reality. The job isn't done until it's done. 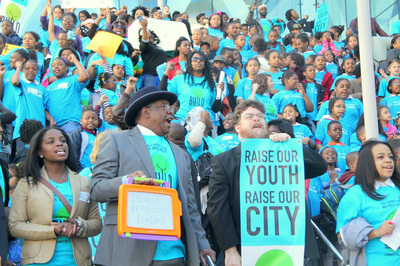 Study this story to understand what it takes to fight City Hall and win. This is the kind of coalition power that may change the direction of the State of Nevada. NCG is in the thick of it with big power players. 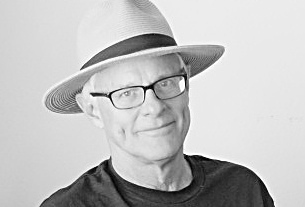 Read the background story by Steve Sebelius in the Review-Journal HERE. 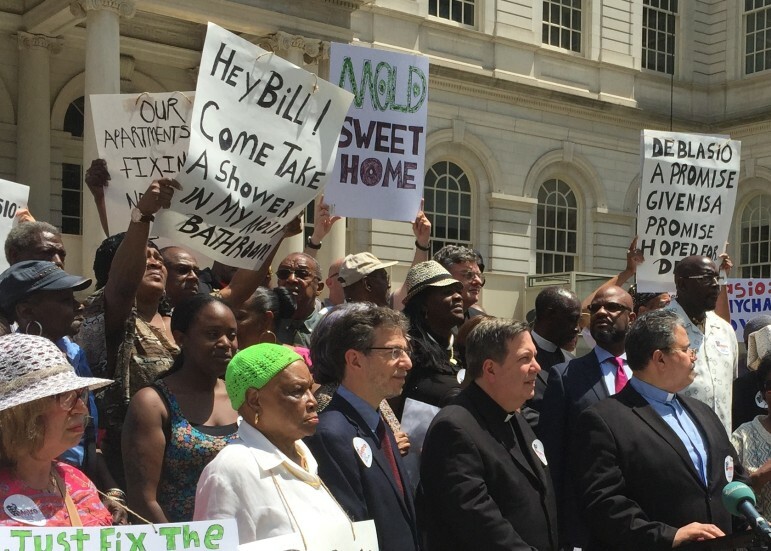 Demand Action on Public Housing Mess! 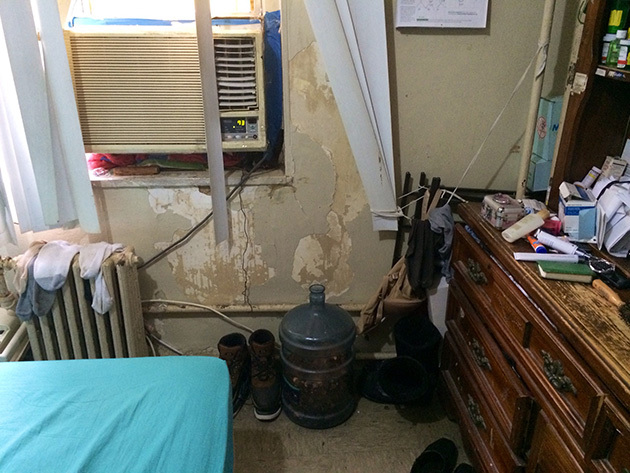 "When the head of the New York City Housing Authority met with residents at a chapel in Brownsville on Tuesday night, there were questions about failing radiators, missing kitchen sinks, moldy walls, broken doors, pigeon excrement and more." Read all about it here on City Limits. Tucson News Now covers the 25 year celebration. 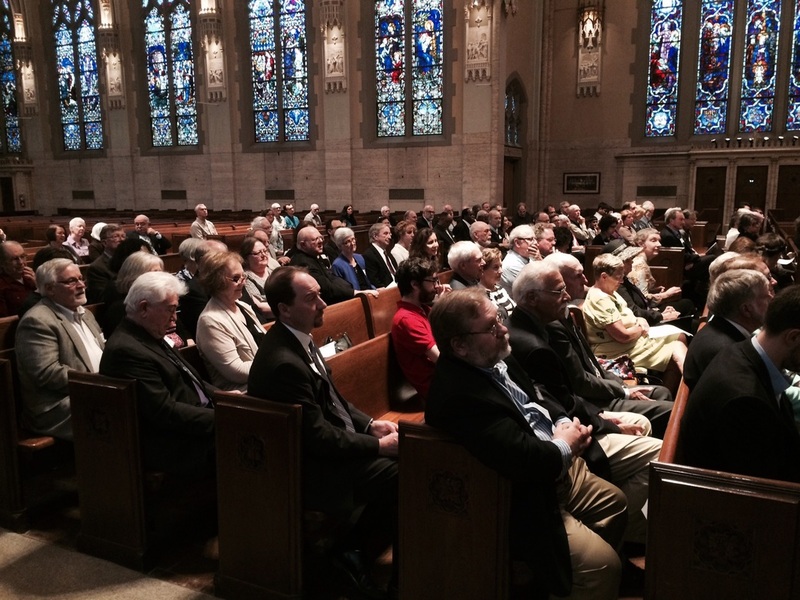 300 gather at St Philip's in the Hills Episcopal Church to honor founders and look to the future. Go HERE for 3 min video. 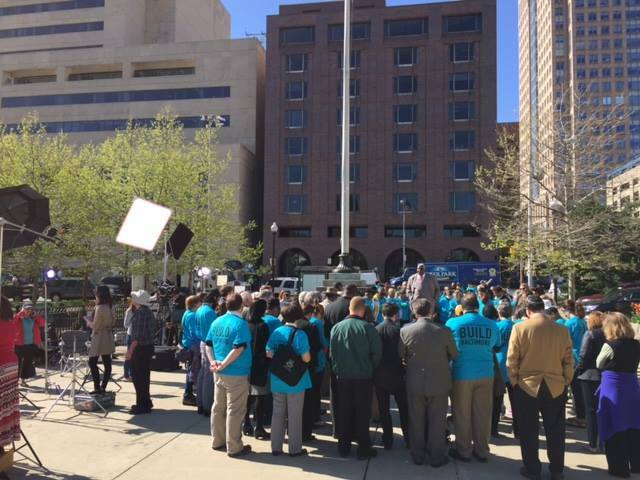 The Las Vegas Global Economic Alliance joined forces today with Nevadans for the Common Good in support of Gov. Brian Sandoval’s proposal to pay for hundreds of millions of dollars in new spending on public education in Nevada. For the full story go HERE. 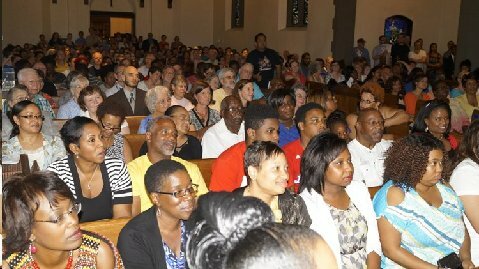 From Cleveland.com: "The public's input is equally important, and it is heartening to see the Greater Cleveland Congregations, a collection of faith communities, join the dialogue over police reform. They've made a number of recommendations they would like included in a consent decree. "We see a chance to seize an opportunity, an opportunity to shape changes within the Cleveland police department," Louise McKinney of the Greater Cleveland Congregations said last month during a gathering at Olivet Institutional Baptist Church, where her organization handed over its proposals to Jackson and U.S. Attorney Steven Dettelbach." Full story HERE. JobPath like the many other high wage training initiatives pioneered by SWIAF organizations is modeled after the groundbreaking Project Quest launched by COPS/Metro (SWIAF) in the 1990's. The impact is remarkable. Huge wage gains for graduates, jobs driven training, careful attention to knocking down barriers to learning, a career path open upon graduation. SWIAF calls these "labor market intermediaries" because they bridge the gap between individuals seeking improvement and real career ladder jobs. Find more HERE. San Antonio has landed one of 21 pilot slots for President Obama’s TechHire to train job seekers the skills they need to thrive in a high-tech economy. 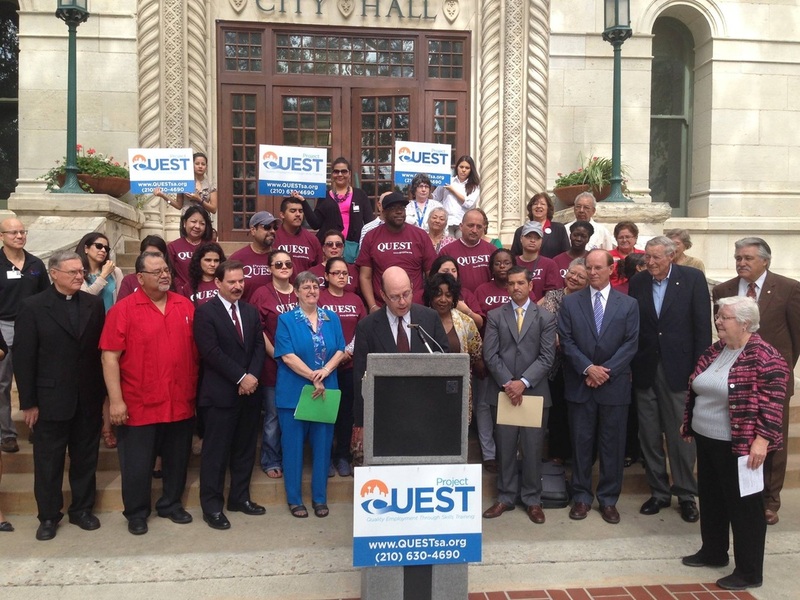 City of San Antonio Economic Development Department, Project QUEST, Rackspace, Rackspace Open Cloud Academy, Alamo Community College, and University of Texas at San Antonio have collaborated for this effort. TechHire is a bold public-private initiative to empower Americans with the skills they need to fill over half a million job openings in fields like software development, network administration, and cybersecurity, many of which did not even exist just a decade ago. View President Obama's announcement HERE. 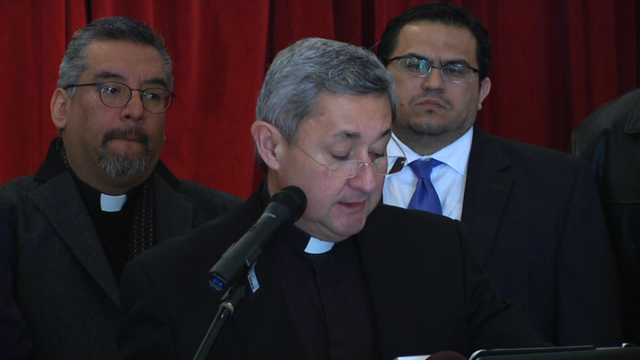 "It is very clear that Valley Interfaith is in support of President Obama's executive order," says Interfaith leader Eddie Anaya. Valley Interfaith, an organization made up Valley's faith leaders, has come together in response to the halt placed on President Obama's immigration action. The halt that was placed on the DAPA program... a program that would grant work permits to about 5 million undocumented immigrants…parents of U.S citizen children. "Families once again are being separated by a lack of action and lack of hard work that the congress needs to do in passing a comprehensive immigration reform," says Msgr. Hireberto Diaz with the Diocese of Brownsville. News Center 23 story HERE. Valley Central story HERE. Brownsville Herald story HERE. 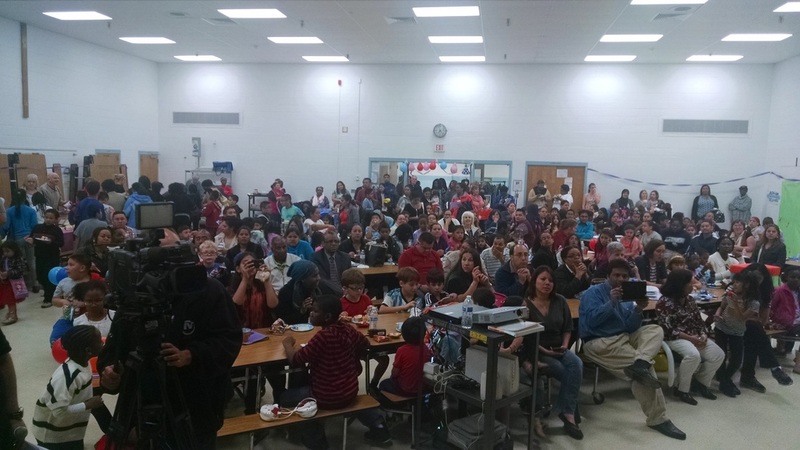 West/Southwest IAF Quarterly (Good News) Update HERE. Metro IAF 2014 Report HERE. Hey Mayor, it might be a good idea to learn from folks who have regenerated NYC neighborhoods with affordable housing from the ground up. Communication from the front lines right here. EBC leaders Brawley and Mason in the NY Daily News. 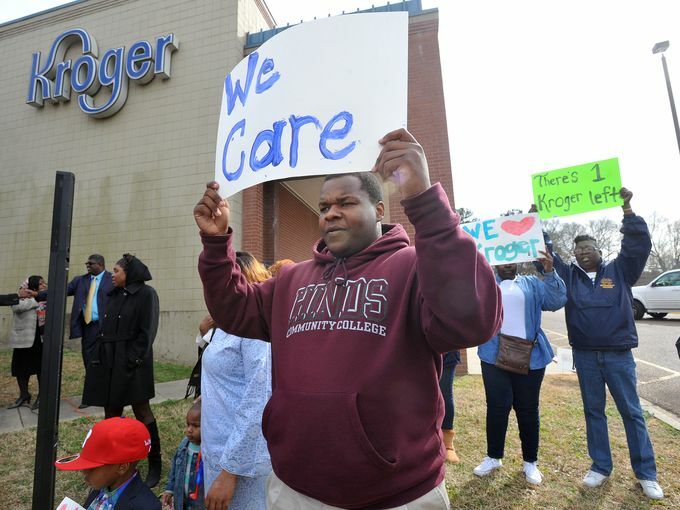 "We're nonpartisan, but we're not nonpartisan about having good stores in our neighborhoods," (Bishop Ronnie) Crudup said about Working Together Jackson. "We're going to support these politicians who support us." 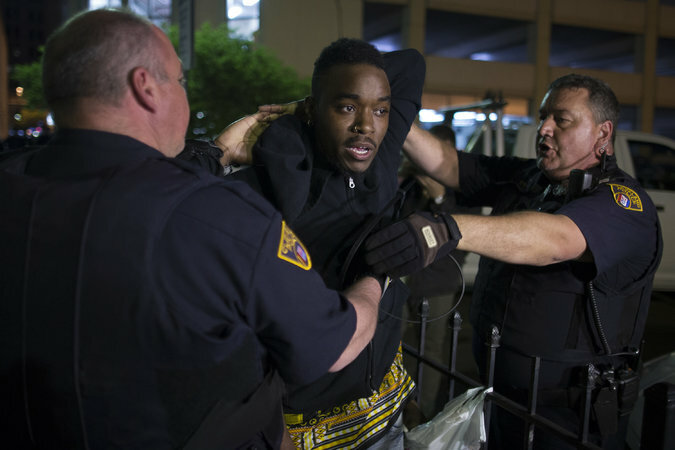 Great story and pic roll from Clarion-Ledger HERE. "So let's be clear: the city's waterfront properties and growing tax assessable base from downtown development do result in cuts to city school funding. 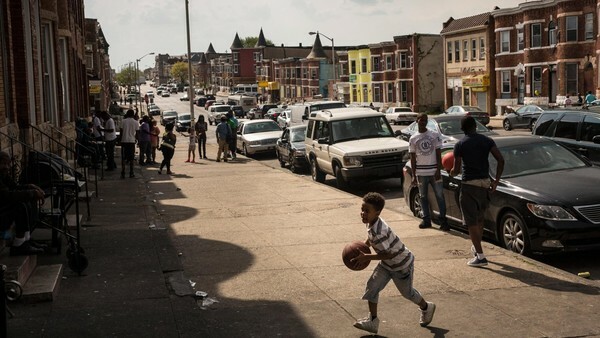 If our city government didn't give away as much in special deals and tax breaks to developers, then Baltimore City would have more money for public schools." 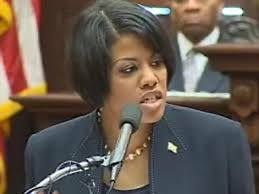 Read entire Baltimore Sun Opinion by BUILD leaders HERE. 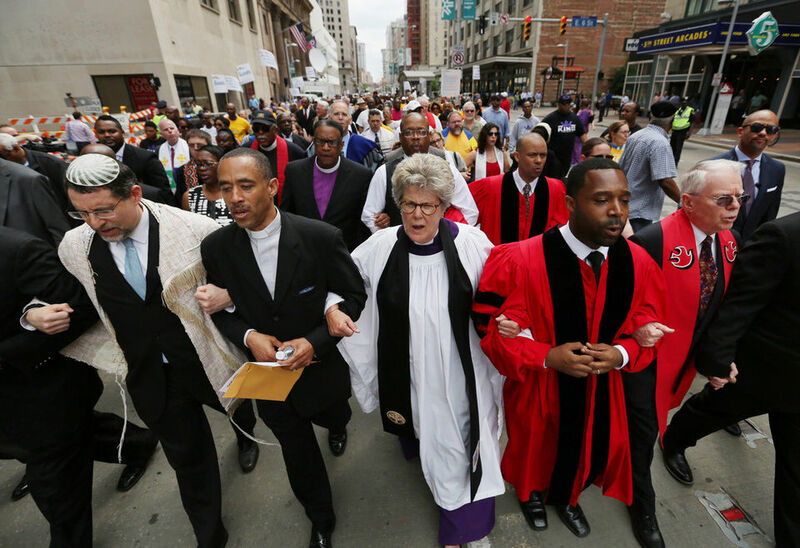 "More than 1,000 people packed a Cleveland church Tuesday to present these reform ideas which include: constitutional policing that focuses on treating everyone equally, community engagement, financial sustainability and reorganizing internal accountability." ABC story HERE. Cleveland.com story HERE. Fox story HERE. 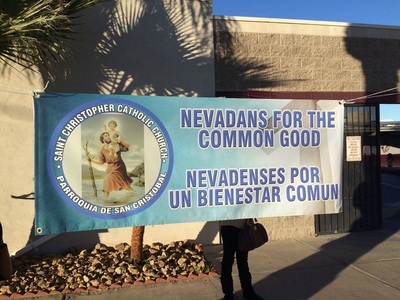 Nevadans for the Common Good (NCG) steps up big time on immigration/migration issues. Blow out turnout pictured here at St. Christopher Catholic Church, Diocese of Las Vegas. 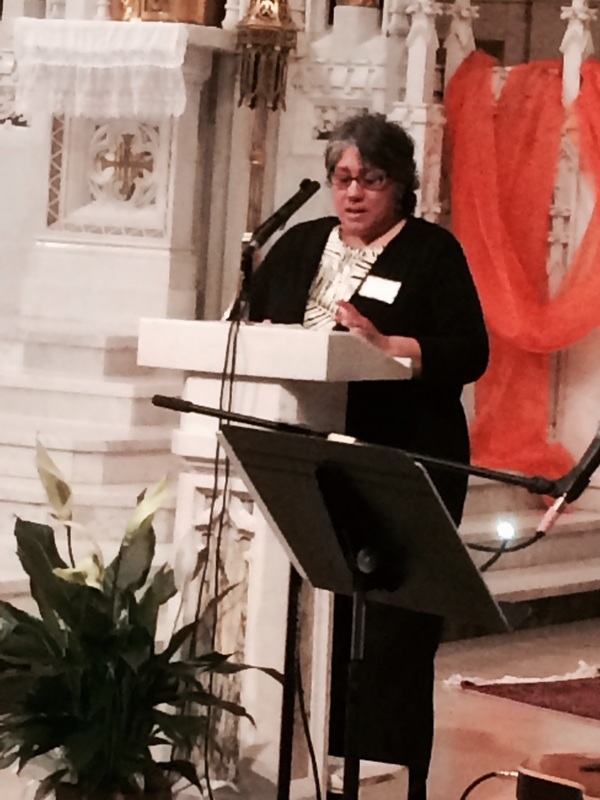 NCG with St Christopher is integrating immigrants into the fabric of community while building non-partisan political power for the common good. Why would the state give $220 million to someone whose company is destroying milwaukee neighborhoods? 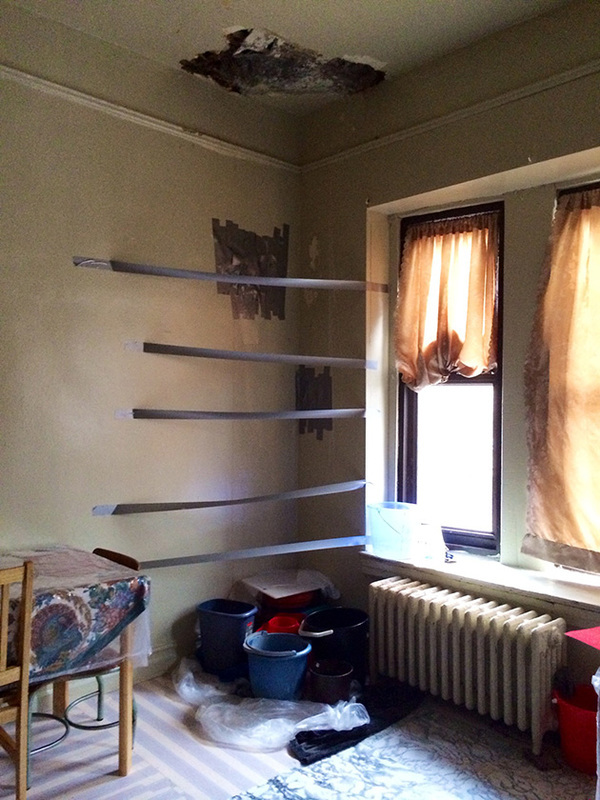 Common Ground shines a light on Wesley Edens crumbling foreclosures. Seeks to block huge tax welfare give away to Milwaukee Bucks co-owner Wesley Edens. Common Ground inspected all 300 Nationstar properties in Milwaukee. The broad based organization is determined to prevent a taxpayer subsidy for a new arena without a significant investment in neighborhoods. They are demanding that Edens meet with them to talk about his crumbling properties and how they are undermining the city of Milwaukee. Journal Sentinel story HERE. Lloyd Johnson, co-chair of Common Ground’s Fair Play team, explained that houses such as this not only cause problems in the neighborhood. “You and I are paying more taxes because Wes Edens is not taking care of this property,” he said. “It means that our tax money that could go to other services in our city is going to deal with houses like this.” Get up to speed on this fight with national repercussions HERE. "Indeed, guns kill more preschool-age children (about 80 a year) than police officers (about 50), according to the F.B.I. and the Centers for Disease Control and Prevention." "This toll is utterly unnecessary, for the technology to make childproof guns goes back more than a century. Beginning in the 1880s, Smith & Wesson (whose gun was used in the Walmart killing) actually sold childproof handguns that required a lever to be depressed as the trigger was pulled." "An interfaith group of religious leaders [with Metro IAF] is also appealing to gun industry leaders, ahead of the huge annual trade show in Las Vegas with 65,000 attendees, to drop opposition to smart guns." Read full story HERE. Cleveland Plain Dealer backed by in depth research story here. 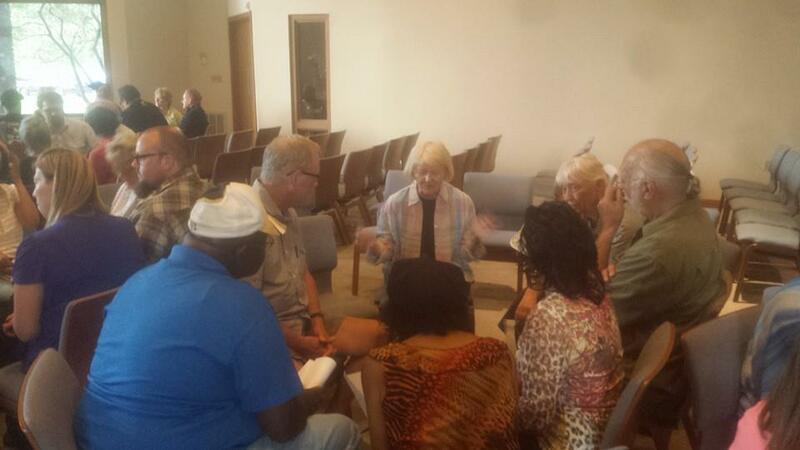 Greater Cleveland Congregations, the leading edge. 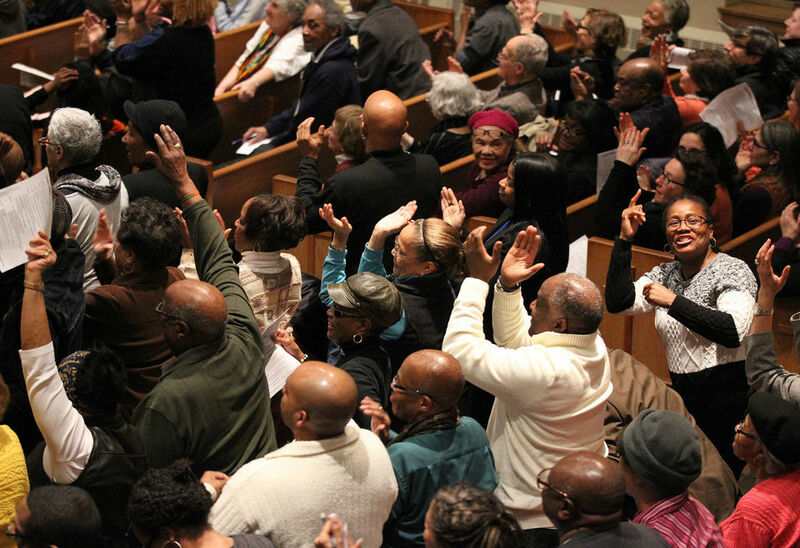 The DC based Washington Interfaith Network (WIN) has "inaugurated" newly elected Mayor Muriel Bowser in the way of high powered, community grounded action. 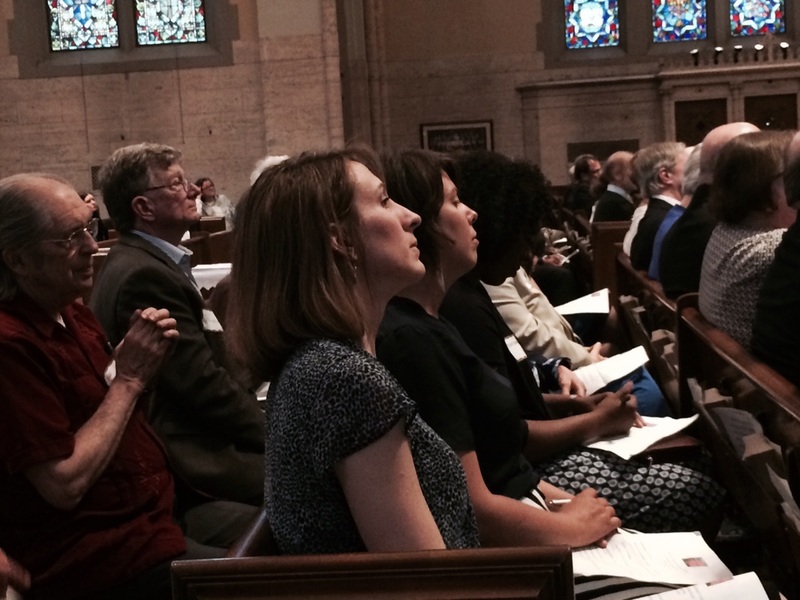 Housing, homelessness, gun violence, jobs and more filled out the agenda presented before a blow out crowd of 1,000 leaders from congregations, schools, unions and non profits in the DC metro region. Washington Post story on the action HERE. WIN premiered YouTube on 2014 voter work. View here. 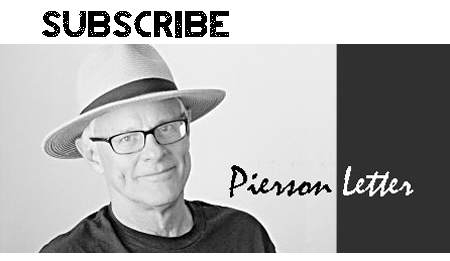 Will Texas IAF Deliver Medicaid Expansion post Perry? Recent reports suggest that newly elected Governor Greg Abbott may embrace Medicaid expansion for the State of Texas. The hard headed resistance of outgoing Governor Rick Perry could give way to a new calculus that incorporates human need, economic realities driven by the collapse of oil prices and the persistent, broad based citizen lobbying by TXIAF. Unlikely? Maybe. But AZ IAF pulled off a similar feat driven by grassroots institutions in one of 2013's most underreported stories. Read the Texas update by Dylan Scott in TPM HERE. 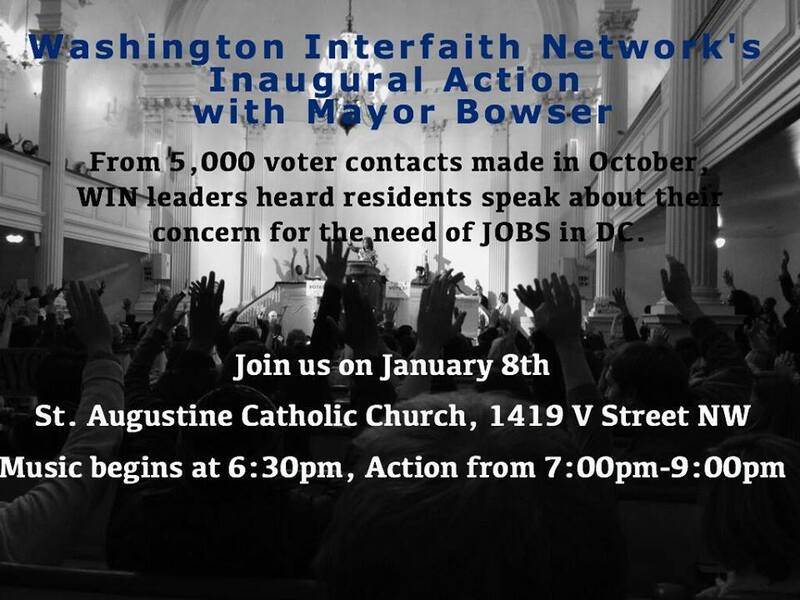 The Washington Interfaith Network (WIN) is kicking the new year off right with a history making action with the newly elected DC Mayor Muriel Bowser. In an event likely to shape the future of her administration, WIN will advance a multi-pronged agenda focused on jobs. WIN is part of the Metro IAF network of organizations. Citizens UK - Respect the CAP! Campaigners will today mark a new cap on payday loans by calling on the Government to set up a community finance fund. New rules from the Financial Conduct Authority will require lenders to cap their interest rates at 0.8% a day, charge no more than £15 for a default, and never charge a customer more than twice the amount they originally borrowed. Wonga, the UK's biggest payday lender, has responded by imposing a cap on the cost of its short-term loans.